“Nothing Ordinary” is the first of a series of planned worship projects on the Centricity label this year. This EP features five up-tempo worship tunes that have a very large congregation feel. To carry this same experience in the local church would be difficult without the breadth of musicians that North Point can deploy, or without depending heavily on backing tracks. Neither of which fit my preferences during a service, but for casual listening, I can appreciate the upbeat style. Thus, for listening purposes, I wish the album were longer. It seems to spin by very fast when I am playing it at work or home. The album has a subtle intensity and powerful lyrics. A worthy combination for sure. 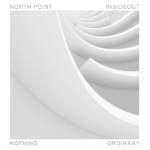 For more on “Nothing Ordinary,” check out the official North Point InsideOut Facebook page at https://www.facebook.com/npinsideoutband. 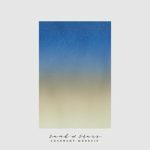 “Sand & Stars,” the latest from the Dallas area Covenant Worship band, was literally recorded under the stars and live during a special event. The songs are crafted around a message of the covenant established by God that secures the legacy of believers all over the world. It is all vertical worship. While it has been recorded live, it is hard to tell aside from the occasional applause between songs. However, the song selection is still refreshing and uplifting. I have a few favorites, like “All Honor,” and the upbeat “Love Has Overcome.” I also like the familiar, but fresh “Doxology” which has a more organic and flowing production than the original hymn. For more on Covenant Worship and “Sand and Stars” visit the official website at http://www.covenantchurch.org/covenant-worship. Already available electronically, Hannah Kerr, a young new aspiring singer/songwriter, is dropping her debut on CD this Good Friday. Her song, “Radiate” is already doing well on radio and I would suspect if she gets radio support, there are plenty more Top 40 singles on this album. While Hannah is a talented vocalist, she is also a partner in the writing process so she has more invested in this than just her vocal talents. Over all, “Overflow” is a complete joy to listen to and I am not usually a big fan of Top 40 Adult Contemporary. I just find that Hannah’s tender voice is so sincere and she draws you in to the lyrics. One of my favorites is “Never Leave Your Side,” where she reminds me that God is in control and He’s there to guide us through this complicated (and sometimes scary) world. This is a common theme with “Warrior,” “Your Love Defends Me,” and “Lifeline.” The album also includes a collaboration with Mark Hall (Casting Crowns) titled “Be Still and Know.” I found this to be another gentle reminder of God’s enduring love. Aside from singing, Hannah is an ambassador for Youth for Tomorrow (youthfortomorrow.org) and she leads worship at her home church in Brentwood, Tn. 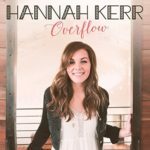 For more on Hanna check out http://hannahkerrmusic.com/. The greatest quality of “Starlight” is that it was recorded live and it includes the spontaneity of live worship. 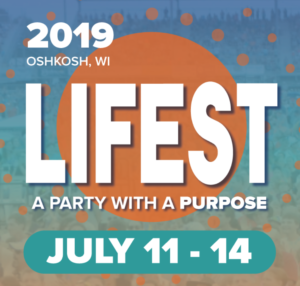 The band features an all-female led team with multiple worship leader including Francesca Battistelli. Thus leads to the second point that I like about “Starlight,” and that while it includes some high-profile names, the focus is not on them as much as it on worshiping God. The women lead as a team and not a bunch of individuals looking for the spotlight. As I mentioned, I particularly like the free flowing nature of the album and that is prevalent on the track “Breath.” It is a good reminder of whom we are to be worshiping and why it is so important to offer our worship in respect of what we receive. A few other favorites include, “King of My Heart,” “Catch the Wind,” and “You Came.” Over all “Starlight” is more of a worship experience than an album. You can feel the tension of the moment and the heart of the artist. 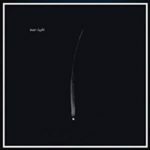 For more on Bethel Music and the latest release, “Starlight, check out https://bethelmusic.com/. You should also take note of the fact that the chord charts for all of the songs are also available on the website.